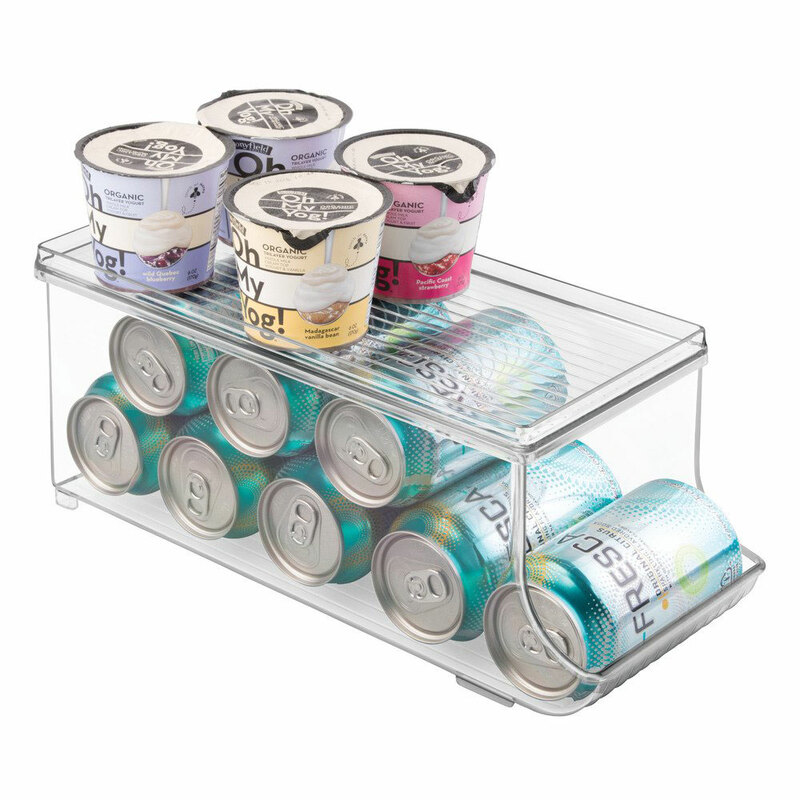 These products will get your fridge in ship-shape. Bonus: they're all available on Amazon. Now that we have all been sufficiently inspired by Marie Kondo’s Netflix show to declutter our closets and desks, it’s time to turn to the part of our home that may need the most love: the refrigerator. Most of us have crowded, disorganized fridges with very little accessibility. We waste time looking for ingredients and often come home from the grocery store with a dozen eggs, only to realize we had eggs on the bottom shelf all along. Thankfully, there is a way to change that. 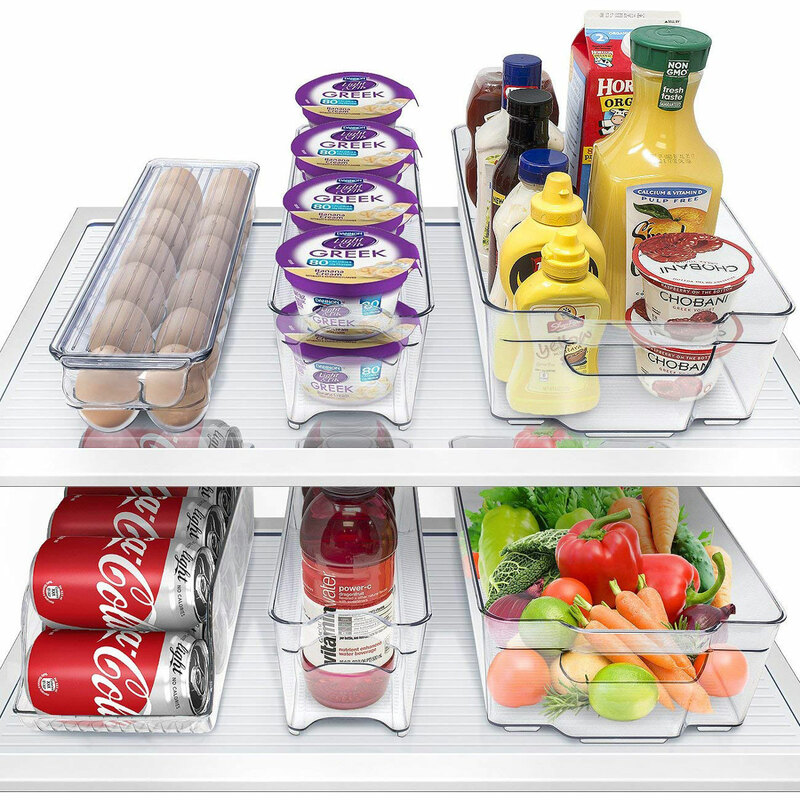 From glass and plastic containers of like items to lazy Susans, labels and shelf liners, you’ll be able to find exactly what you’re looking for and keep your fridge organized. Thanks to these brilliant tools, gone will be the days your juicy, red strawberries grew mold because you forgot they were hidden behind the milk. Read on for 11 smart ideas for refrigerator organization. 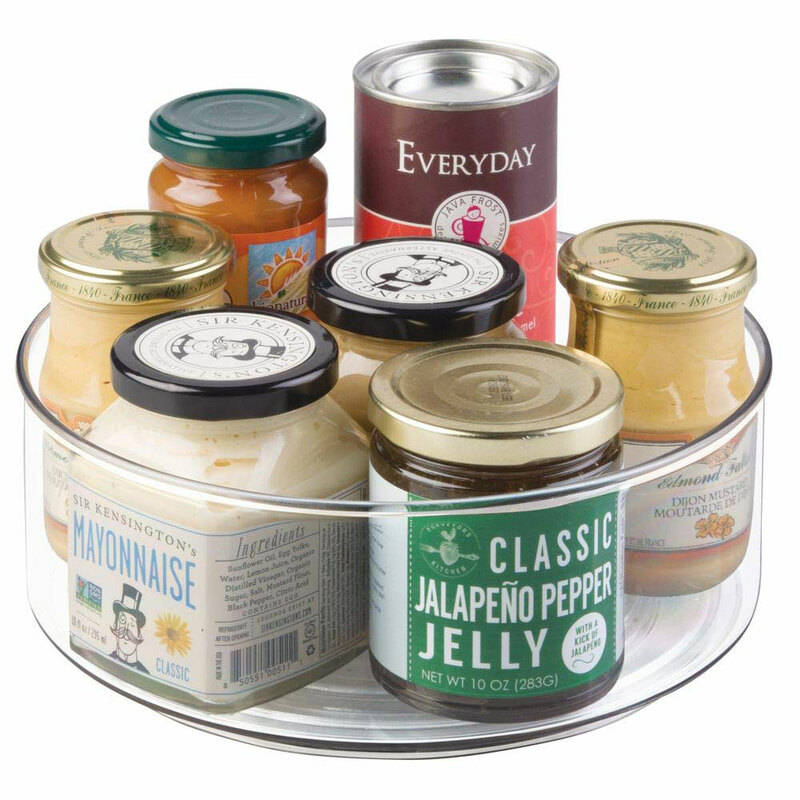 You might already use one in your spice cabinet, but a turntable works great for refrigerated condiments as well. Now, you’ll be able to peruse your mustards and hot sauces before picking the preferred sandwich accompaniment. Plus, you’ll have the ability to easily scan expiration dates, which (let’s be honest) you don’t check on a regular basis. 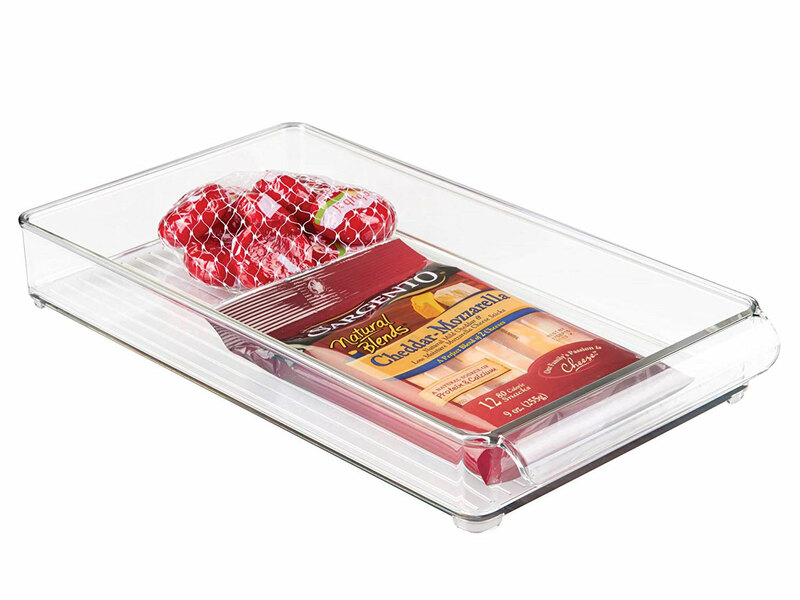 If you’re ready to go all in, opt for this set of six BPA-free plastic organizers. The two large bins are well-suited for fresh fruits and vegetables – remove the produce from their original containers and wash before placing in the bins for optimal visibility and grab-and-eat later. 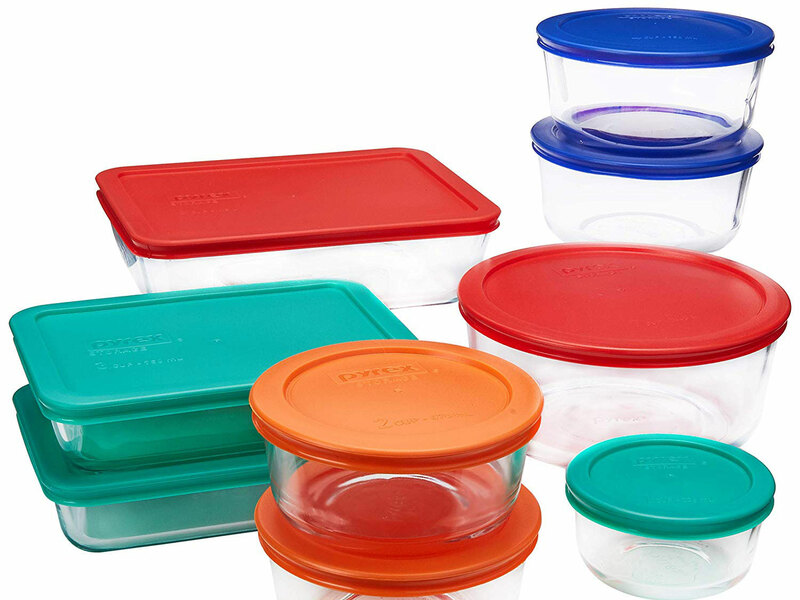 Glass is another great way to go and Pyrex offers an awesome set of 18 microwave-safe containers. With multi-colored lids, you can arrange your food groups by color. These are perfect for meal-prep and bringing leftovers to work. Are your refrigerator shelves a little sticky? Peppered with crumbs, perhaps? 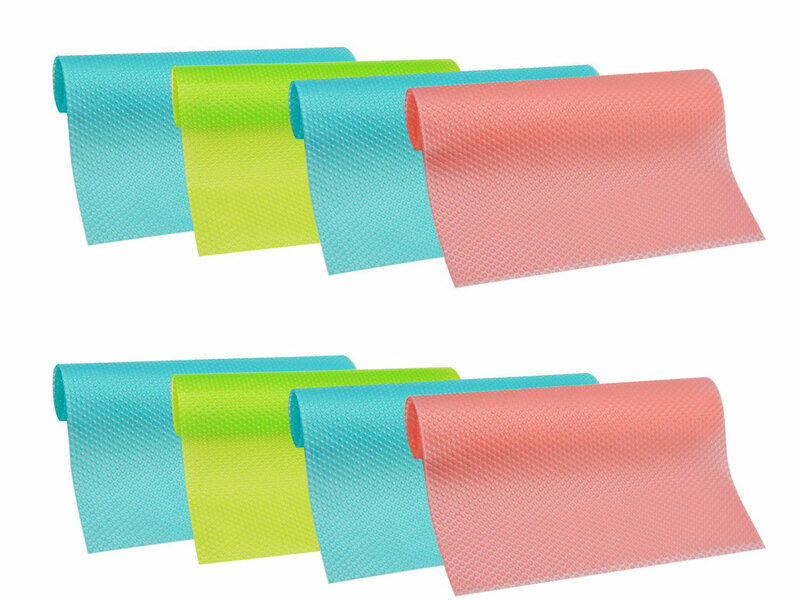 These shelf liners have you covered. They’re super easy to clean, plus they keep items in place so there’s no slipping and sliding action. Maximize space in a major way with this can dispenser that works for both canned beverages and food. Its flat top makes a perfect shelf so everything fits perfectly. The best way to know what something is and how long it’s been in the fridge is by labeling. 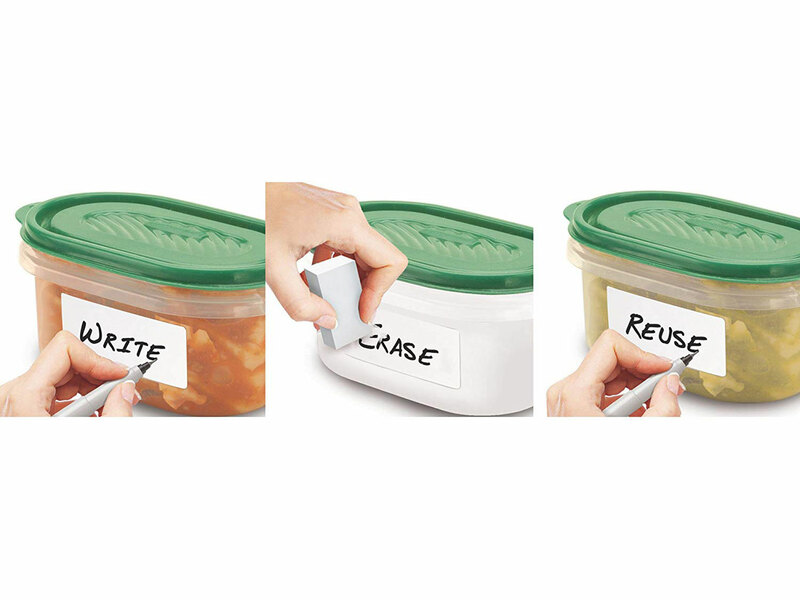 These labels come with permanent markers so there’s no smudging – only the permanent marker erasers (that also come with the labels) can remove your information. Stacking is key to an organized fridge, but many grocery items weren’t packaged for balancing. This is where the tray comes in, sitting flawlessly atop your flat-topped containers. 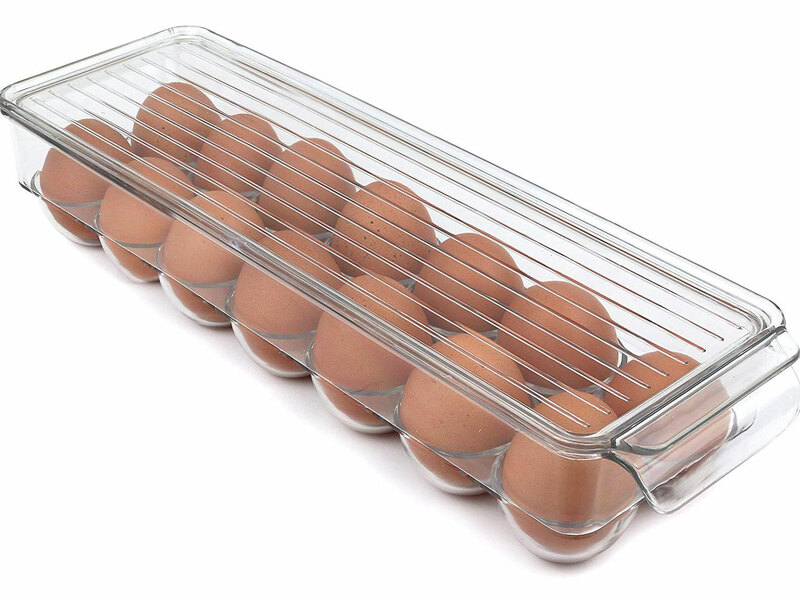 You’ll never worry about breaking your eggs with this stackable storage bin that holds up to 14 eggs and can fit on top of or below all your other containers. It’s extra helpful that it’s clear, so you always know how many eggs you have without moving anything. Bottles take up a lot of space. If you like to get creative about your beer storage, take these magnetic bottle hangers for a test drive. 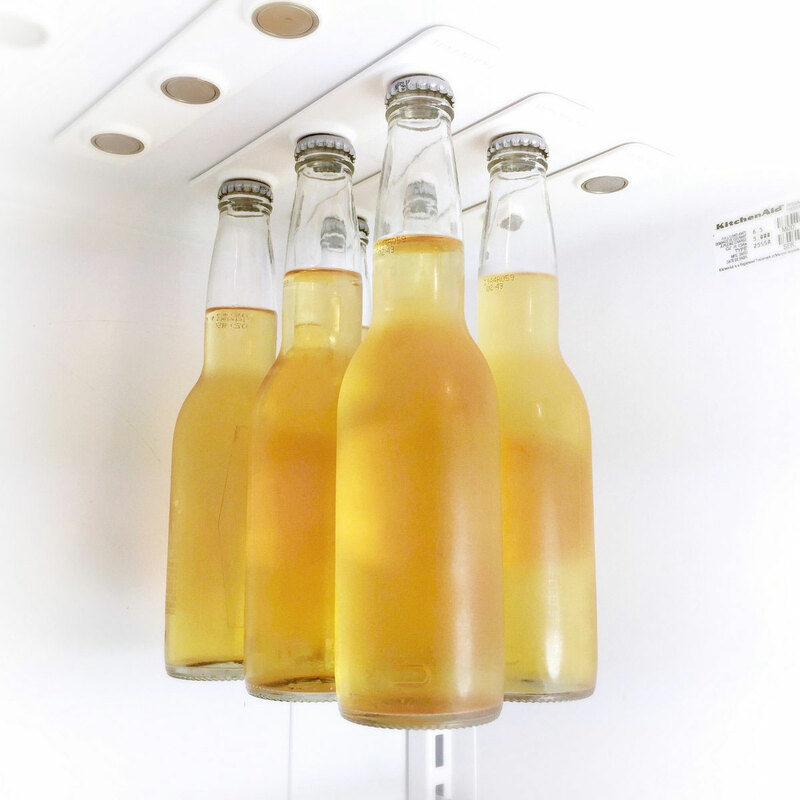 With patented technology, the strips are able to stick to the ceiling of your refrigerator and magnetically hold bottles in place from the cap. 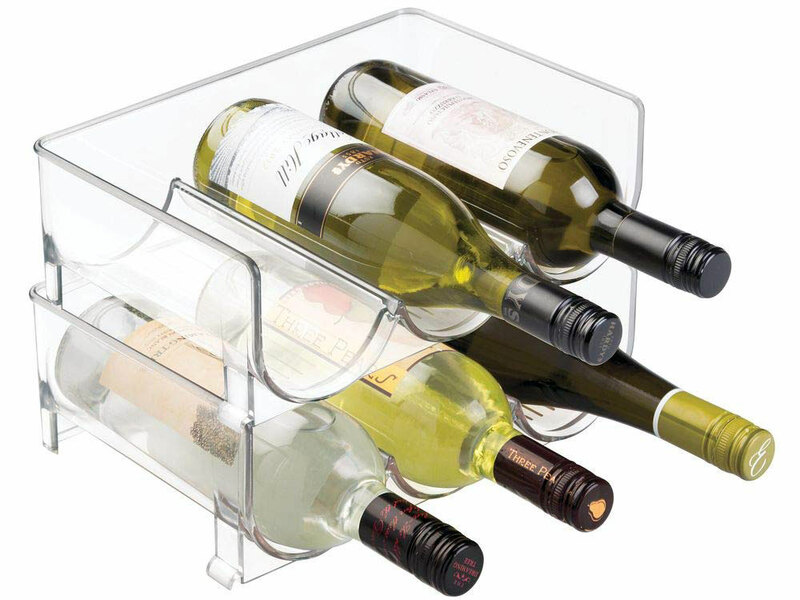 We often ask ourselves, “what is a refrigerator without wine?” You can chill a significant number more bottles with this stackable wine bottle holder that can of course sit atop any of your many containers. 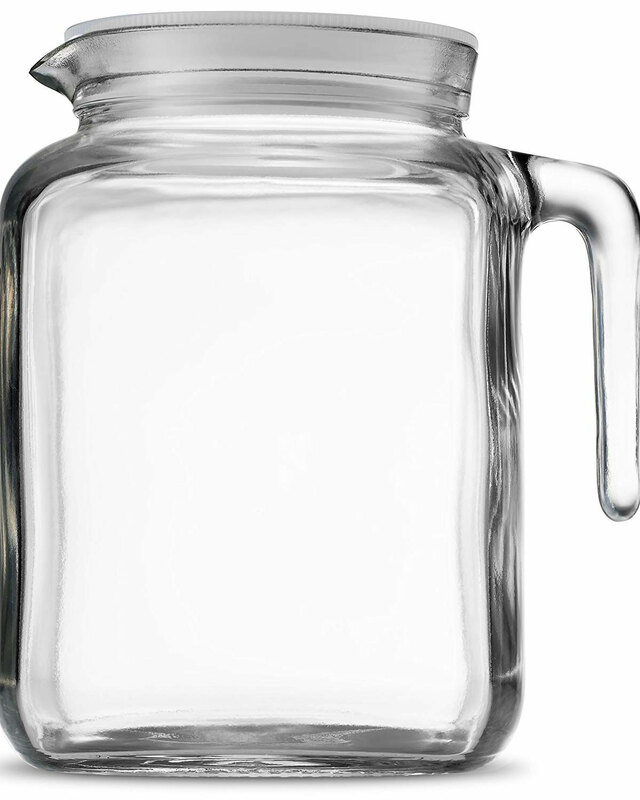 To keep things consistent, store your beverages like juice and milk in glass pitchers like this one. You’ll always know its contents, it has an easy-to-grab handle and it’s beautiful for entertaining.